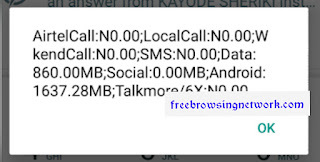 1.5GB for N200, 125% Data Bonus Through Glo Oga Sim, MTN mPulse that Offers 1.2GB for Just N150 and 350MB for N50 and last but not the least, MTN free 500MB Data via MyMTN App. However, Airtel 100% data offers have been existing for a long time, but not all customers are always eligible to activate it. But this new method has returned so many positive responses as a lot of people confirmed it actually work and the activation process is very simple! 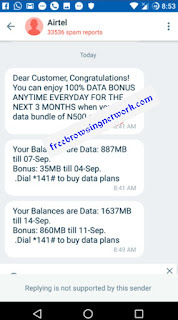 To Activate New Airtel 100% Data Bonus Simply go to your text message menu, SMS Get to 141. Even with Dent App, you can get Airtel 100% Data Bonus! Once you have activated your sim with the code above, open your Dent app if you have Dent Coins on it and purchase Airtel 750MB which cost 901 Dent at this moment and you will be given 1.5GB instead of 750MB . (Original data 750MB and another 750MB under bonus). 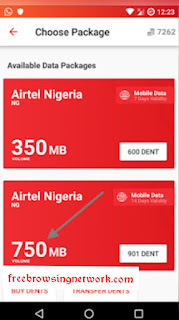 Comment on "Airtel Unlimited Data - How to Activate Airtel 100% Data Bonus"